We already know how hard it is to get justice in America. It might get even harder. 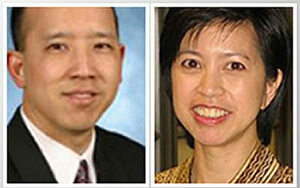 In my AALDEF podcast, I talk to two Asian American professors who have filed a discrimination suit against the University of Michigan. The professors filed in Michigan state court. But where federal laws are concerned, anyone seeking justice has to be concerned with Neil Gorsuch. So far, he’s the odds-on favorite to become the justice who breaks the current 4-4 tie that exists in the High Court. Given that Democrats don’t have the votes in the Senate to deny Gorsuch’s bid to the Supreme Court, it makes his confirmation hearings more like an epic uphill battle. Much harder than getting Donald Trump to stop tweet-lying. If you caught any of it on TV, then you know the Trump pick just had to smile and play a folksy Jimmy Stewart-type. Unwilling to say anything on issues he may have to rule on, he played dodgeball at the highest level. So was it a litmus test on abortion? Maybe? Given his stonewall answers to serious questions, it was as good as we got. He also tried to be funny, in a charming, folksy way. Given how serious he is and the seriousness of the issues he must opine on, anything he says that’s slightly less than 100 percent serious deserves at least a chortle. Not a belly laugh. A chortle. See what I mean? A chortle. So he’s not all that funny. And, as it turns out, not all that human either. Just ask the family of the late Grace Hwang. Hwang, an immigrant from Taiwan who capped a long career in corporate law by becoming a university professor at Kansas State, was also a much-loved board member of AALDEF. After a nearly ten-year struggle with cancer, she died last year at age 60. In an opinion piece that ran in the San Francisco Chronicle on March 14, the Hwang family talked about how Grace continued to work through her illnesses and treatment. Even when it was found she had leukemia, Grace continued teaching from her hospital bed. After a six-month paid leave to deal with her illness, she wanted to go back to work. Her family said due to a flu epidemic on campus, Grace had asked that her leave be extended. But Kansas State rejected the idea and said she couldn’t work from home. Grace sued the school, claiming the university violated the law requiring an accommodation for her disability. With her job and life on the line, Grace took the matter to the 10th Circuit and encountered Judge Gorsuch. So much for Gorsuch the human being. At the hearing Sen. Mike Lee (R-Utah) brought up the case. I can’t remember if it was Kansas or Kansas State, she was asking for another six months off and the university said no, and she sued under the Rehabilitation Act, which prescribes that reasonable accommodations must be provided to workers to perform their essential job functions. But to prevail they have to show they can perform their essential job functions. It was undisputed in that case that she just couldn’t, through no fault of their own. And the district court said that’s just not a claim under the Rehabilitation Act. Maybe for breach of contract or something else, not under federal statutory law, that’s my recollection sitting here. Undisputed that she couldn’t work? 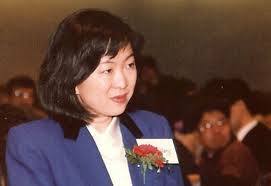 Not according to the Hwang family, who still claim Grace was able to work if she had been allowed to do so from home. And it’s not an isolated case. Several senators brought up the TransAm Trucking case, also known as the “frozen trucker” case, in which driver Alphonse Maddin abandoned his truck in freezing conditions and risked hypothermia to get gas. He was fired by his company for disobeying orders. Maddin sued and won in the 10th Circuit; there was one dissenter. Gorsuch found for the company, which astonished Sen. Al Franken (D-MN). 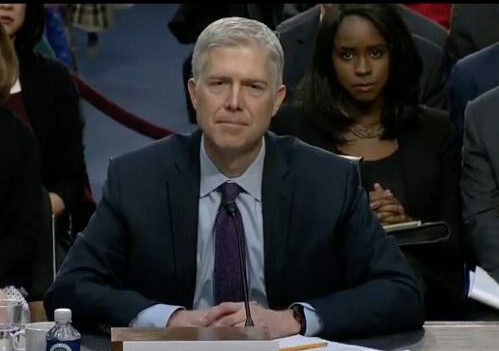 It was one of the few times Gorsuch seemed bothered. The rest of the time, it was softballs like the ones thrown to him by that fun-loving guy, Sen. Ted Cruz (R-Texas). He asked Gorsuch about his love of the rodeo and its practice of “mutton busting,” where children and animals are abused for kicks. Guns? Abortion? It was that mutton busting question that was more revealing than we know. 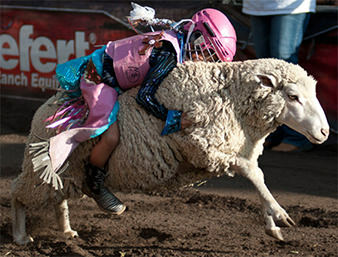 Terrorizing kids and woolly sheep? The human that is Gorsuch just couldn’t stop talking about that. That and his judge’s black polyester robe, his symbol of his commoner’s touch. Still, there was just enough in his past opinions to paint an unflattering picture. Here’s a judge who has easily betrayed the common man and woman seeking justice from the law. Just ask the frozen trucker and the family of Grace Hwang. This brings us back to our podcast episode involving two married Asian American professors, Scott Kurashige and Emily Lawsin, who filed a discrimination suit against the University of Michigan in December that was just made public this month. Kurashige was a full professor with tenure, and director of the Asian Pacific Islander American Studies program until he was fired in 2013 after he exposed discriminatory patterns in faculty hiring and student admissions at Michigan. Lawsin was a senior lecturer, who was on leave caring for a Down syndrome child recovering from open heart surgery when she received a layoff notice. She fought it and is still on staff, but has been barred from teaching. The lawsuit cites violations of Michigan’s Elliott-Larsen Civil Rights Act and the state’s Persons with Disabilities Civil Rights Act. Discrimination cases are among the most difficult to win in these times. In this interview, Kurashige and Lawsin spoke about their case exclusively to Emil Amok’s Takeout. Listen to the new podcast interview with Scott Kurashige and Emily Lawsin here.